The Bunnywarez Raccoon Jammies. Behold! Look at that cutie-pie face, dawwww. It's not cheap, first of all. I paid about $145CAD with shipping once all was said and done. However, you get what you pay for, and in this case, I expect these jammies to last many years. They're also designed with furries in mind, and the company offers a number of other creatures (bear, fox, leopard, etc...). Also, I do apologize for not owning a real camera and relying on my cellphone. I have used photoshop to address the colour balance, and in particular images, enhance details or paint over nasty highlights. 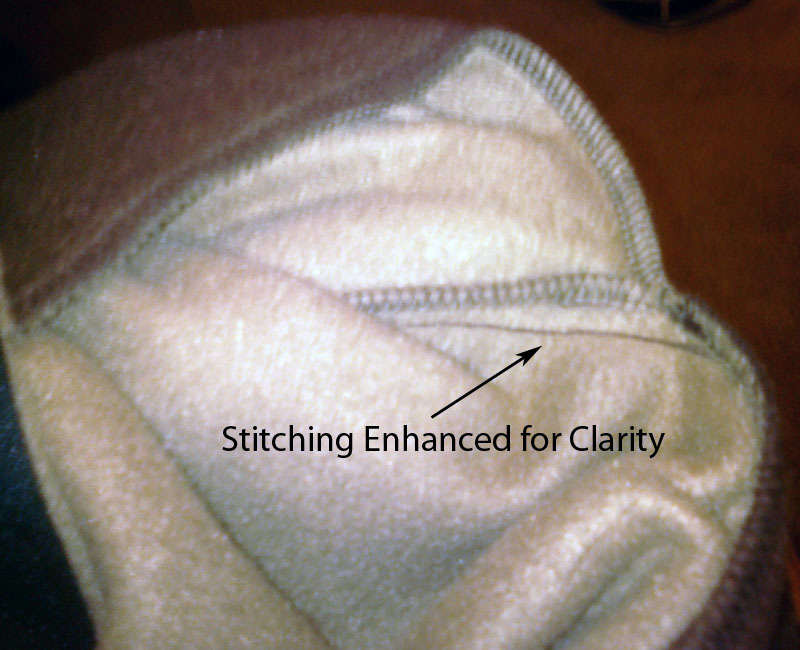 Here we see an extra stitch put in where the pocket meets the body fabric simply to improve the appearance of the external seam. 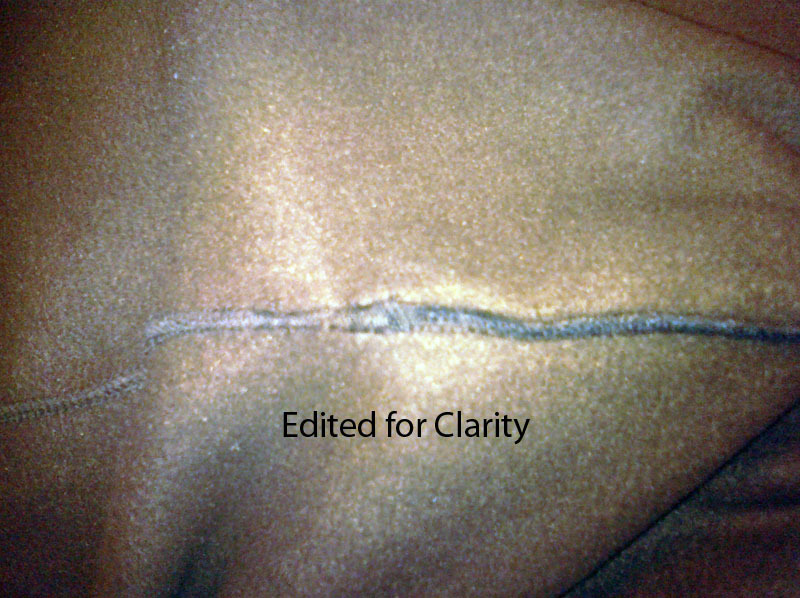 This and the generally excellent stitching demonstrates how much thought and effort was put into the design. On high stress areas, like the tail, copious extra thread was used to improve strength. 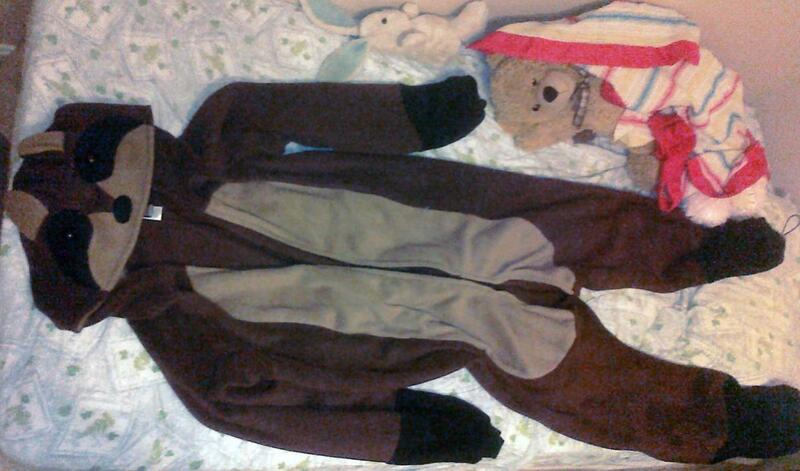 You can't really see it here, but where the tail meets the body is a solid mass of thread - virtually indestructible. This level of quality continues throughout the product. 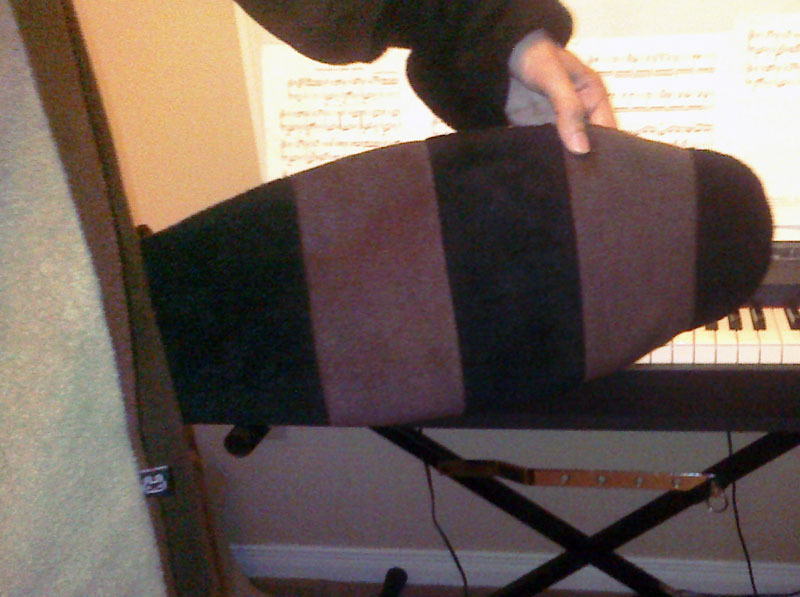 The tail itself is very flexible, because mostly flat, though there is a sheet of stuffing to give it some body. I've slept with it, and it's quite comfortable, not to mention adorable. Note the cute little tag. It's a bunny! No, it does not have footies, but before you start crying the blues, it does have this adjustable elastic so it won't slip down your ankles and trip you. 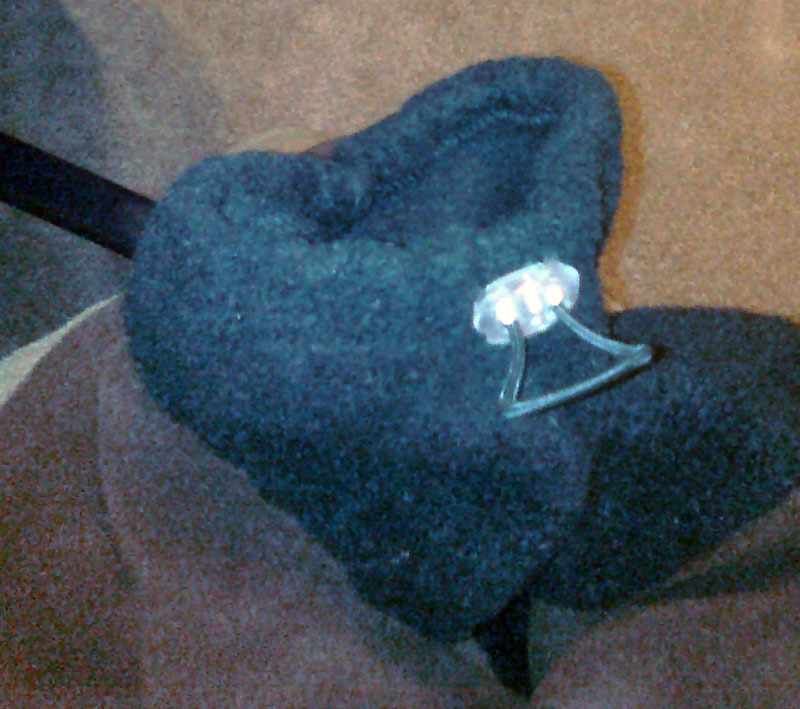 Just wear some cute slippers and imagine it had footies. But for those of us who just love footies, this is the biggest downside with these jammies. 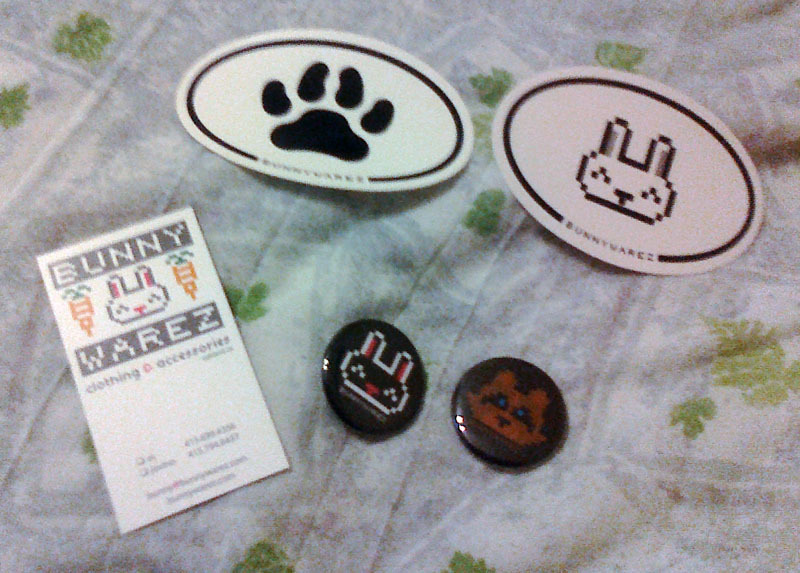 Given Bunnywarez markets towards furries in general, I can understand their decision. Even so, I feel the overall cuteness of its design overwhelmingly offsets this issue. Heavy duty double zipper. You can zip down for getting in and out, or up for diaper changes. Thanks to the low crotch, I can't imagine having any difficulty with changing. I'm not sure if this was an intended feature, but I'll take it regardless! One other thing, the tag says "Made with love" and "Eat your vegetables", hehe. Gotta love those ears, cute nosey and button eyes. Farther out for a sense of overall proportion. You'll notice the crotch is closer to the knees than the hips. However, you needn't worry about restrained movement. There is enough slack and natural elasticity in the fabric, that it's impossible to trip or snap the crotch's stitching (something I can't say for other jammies I have). It also means there's plenty of room for padding. It is a fairly baggy design, but because the fabric is so luxuriously soft, it's like being "ensconced in velvet," as George Costanza would say. That said, with such plush softness comes excellent insulation, too much if you don't have strong AC or a winter's chill. 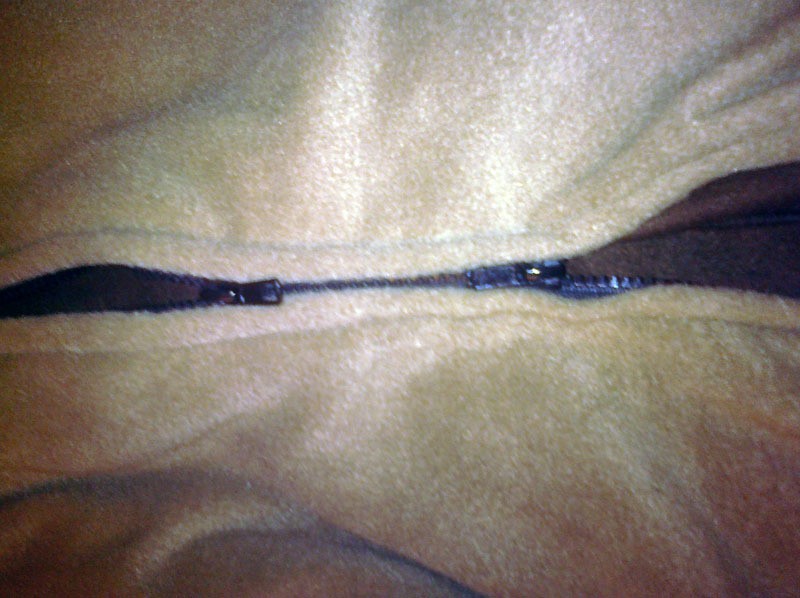 That said, I'm stubborn as a mule, so I just wear it with the zipper down, like some bare-chested 70s machismo. However, with a diaper on as well, it really can be too much. Overall, I'm satisfied with my purchase. Despite the high price, the quality is unmatched and it's very comfortable. 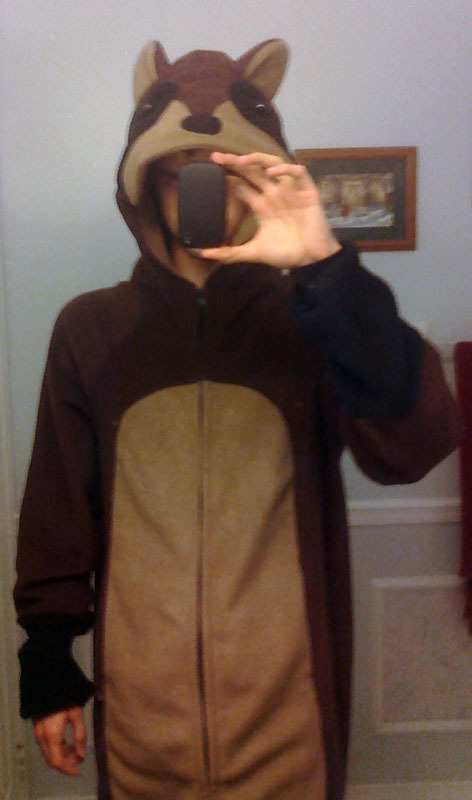 Most importantly, when I put it on, I truly feel like a little kid, with my cutie face and silly tail. It's definitely one of the more awesome pieces of "little" clothing I have. Oh and who can forget about swag?